Water damage is an extreme problem that can be potentially hazardous if not treated with the right professional help. Water is very long-term when it comes to the indoor environment. That means the excess moisture can cause serious issues, including structural damage to your home and personal damage to your belongings which can then deteriorate those special items. You never know if water is sanitary or not, so do not go without calling the professionals at ERX Emergency Restoration in North Las Vegas, Nevada. Most homeowners don’t realize the amount of damage that water can cause. The more water you have and the longer amount of time that it sits there without a professional removing it, the more your bill is going to rack up. The technicians at ERX Emergency Restoration take their time in inspecting the whole area to see how much moisture there is in the home. If there is any standing water, they then pump that out quickly and then move onto the drying process. If you see any water that shouldn’t be in the area that it is found in, call the professionals as soon as you can, as they could save a good percentage of certain things. There could be many things causing you to experience water damage. 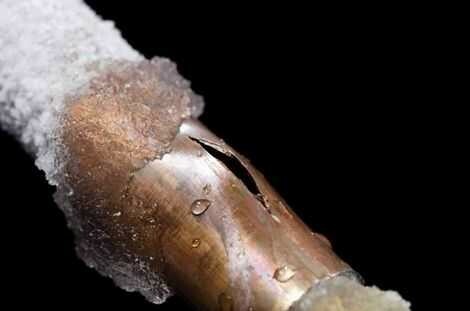 Your home could be flooded, or a pipe could have burst from a plumbing disaster. Not only that, you could have a sewage back-up and this causes the worst damage because it is dirty water. Contaminated water can contain things like animal feces and parasites. These things will cause you to have severe health risks, like Salmonella and hepatitis. Only and always call the professionals at ERX Emergency Restoration because they are highly qualified and trained with expert knowledge. They will know how to treat this disaster and help get your home sanitary and safe for you and your family to be in again. No one wants to have to deal with a water issue. Some other examples of what can cause water damage is if you have missing shingles on your roof, you maybe don’t have good drainage from your house, you might have water leaks, your sump pump is not up to date or not functioning properly, or you have clogged gutters. The reason why you need to test your sump pump is that they work when you are going through a storm. You don’t want to find out that it isn’t working when you are in a major storm. You need to test your sump pump once a year. Ensuring that you have good drainage is always important. Once you don’t have good drainage from your home, it will weaken your foundation. Once it weakens the foundation, it will cause cracks and uneven settling. Then, pathways are made for water to enter your home, causing even more damage. Check for water leaks. If there are stains on the ceilings, dark spots under the sink from pipes leaking, and toilets that move and are not held properly in place, and drips, then you might have a water leak. Once you discover these leaks, get them fixed immediately by the professionals at ERX Emergency Restoration before it causes more damage and costs more money to fix. Leaks that are persistent lead to mildew and mold and damp wood calls for termites and carpenter ants. Not only does water damage items, there could also be a good chance that the water is contaminated, not sanitary. Even if the excess moisture has been completely removed, there still could be lingering problems that are not safe or sanitary for your health. Organic materials like carpet, upholstery, drywall, and wood can be a living space for bacteria, viruses, and molds. These microbes can be seriously harmful to you. For your convenience, the trained professionals at ERX Emergency Restoration are available any time of the day. Don’t hesitate to give a call!